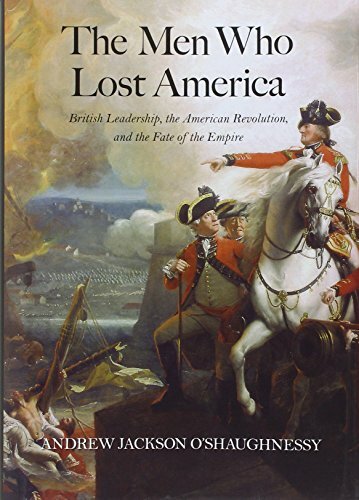 [PDF] The Men Who Lost America: British Leadership, the American Revolution, and the Fate of the Empire (The Lewis Walpole Series in Eighteenth-C) | Free eBooks Download - EBOOKEE! Description: The loss of America was a stunning and unexpected defeat for the powerful British Empire. Common wisdom has held that incompetent military commanders and political leaders in Britain must have been to blame, but were they? This intriguing book makes a different argument. Weaving together the personal stories of ten prominent men who directed the British dimension of the war, historian Andrew Oâ€™Shaughnessy dispels the incompetence myth and uncovers the real reasons that rebellious colonials were able to achieve their surprising victory. In interlinked biographical chapters, the author follows the course of the war from the perspectives of King George III, Prime Minister Lord North, military leaders including General Burgoyne, the Earl of Sandwich, and others who, for the most part, led ably and even brilliantly. Victories were frequent, and in fact the British conquered every American city at some stage of the Revolutionary War. Yet roiling political complexities at home, combined with the fervency of the fighting Americans, proved fatal to the British war effort. The book concludes with a penetrating assessment of the years after Yorktown, when the British achieved victories against the French and Spanish, thereby keeping intact what remained of the British Empire. No comments for "[PDF] The Men Who Lost America: British Leadership, the American Revolution, and the Fate of the Empire (The Lewis Walpole Series in Eighteenth-C)".